England may be out of the World Cup but the summer agony is set to continue for Tower Hamlets council and its residents. I understand that PricewaterhouseCoopers, the auditors ordered in by Eric Pickles in the wake of the Panorama programme on March 31, have asked for another month to write their report. They were due to file it with the Department for Communities and Local Government by June 30, but that has now been delayed until the end of July. That might well be because they have so much more work than at first realised, or because they just need more time to reflect and analyse their findings: they’ve been inundated with information, that’s for sure. I don’t believe they will find any serious irregularity in any of our governance, our financial structures or the way we run the council. If there is any issue here, of course we will look at it and try to learn from it and try to improve on it, but don’t forget, if he was looking for fraud, he will find no fraud. This seems an implicit acceptance the auditors will find something. Team Lutfur say that’s inevitable: put in a team of highly skilled auditors into any borough for a concentrated period of time and murky details will surface, they say. It’s just a question of seriousness. I wonder how the council will react. I wonder whether they might even resort to their favourite tactic of hiring expensive barristers and contemplate a judicial review of the decision in the High Court. Personally, I don’t think the auditors will find any outright fraud (on the whole, they have a good team of senior officers in Tower Hamlets) and certainly the Panorama team never made that allegation. There’s an element of ‘creating goalposts’ within the Lutfur spin camp on this. I also think there’s an acceptance within his team that they got things wrong in the past four years on the questions of transparency and governance. Lutfur says in his fascinating interview with Eddie Nestor that he has no idea why Tower Hamlets attracts so much bad press. Well, he didn’t really help himself on the questions of perception and appearance, did he? The chauffeured Merc, the prominent associations with rogues and criminals like Shiraj Haque (I’ll be kind and say ‘the former’) and Mohammed Mahee Ferdhaus Jalil (twice the latter), the failure to answer questions in council, the failure to attend hustings etc etc. He has a much bigger group of councillors to manage this time as well and hopefully they will ensure these matters are addressed. He’ll probably enjoy the challenge. Here’s the interview with Eddie Nestor: it’s 20 minutes but certainly worth a listen. As for the council’s commitment to transparency, I leave you with this FOI response they gave me yesterday. I’d asked for all invoices supplied by the Champollion, the expert PR outfit they hired to counter the Panorama programme. In terms of the Champollion contract the Council officers took the view in late January 2014 that in order to ensure the position of the council was clearly represented to the production company and the commissioning organisation, specialist media advice was required. The in-house media team did not have specialist knowledge about the operation and application of the BBC’s editorial guidelines and were already occupied in managing an existing workload. A brief was produced and a Record of Corporate Directed Action (RCDA) was signed by all relevant officers to consider the procurement issues involved. Given the short timeframe and the specialist nature of the advice required a longlist of specialist PR firms was identified. Four companies were then invited to apply after receiving a brief and invited to interview. Section 36 (2)(b)(i) has been applied to the financial elements of both contract and internal discussion between officers on the basis that their disclosure would inhibit the imparting or commissioning of advice subject to the public interest test and information relating to financial and business affairs which could prejudice the Council achieving its obligation to obtain best consideration from the use of its resources and the best value from the procurement process. Section 36(2)(c) has been applied to elements of the Champollion contract as the brief point 4 (a specific requirement concerns seeking strategic or tactical advice from the contractor) and point 8 (dealings with the BBC) and this forms part of the internal thinking space of the Council which if it were to be released would prejudice the effective conduct of public affairs. The Council needs to be able to examine the options. Britain’s first directly elected Muslim mayor has been accused in the High Court of involvement in electoral fraud and illegally smearing an opponent. Groups of people were paid to gather outside polling stations and persuade voters to back Lutfur Rahman on election day last month in Tower Hamlets, east London, an election petition claims. The mayor’s supporters are accused of canvassing inside polling stations and accompanying voters to booths where they left election material urging people to vote for him, according to the petition. Mr Rahman, who was born in Bangladesh, or his team cast postal and other votes in the names of people who were not entitled to be on the electoral roll, and acquired voting papers that they completed in favour of the mayor, the documents claim. If proven, the actions would be against electoral law. The court documents allege that corrupt or illegal practices were so prevalent that they affected the result of the election. Mr Rahman, an independent social democrat, was the first directly elected mayor of Tower Hamlets in 2010, winning 52 per cent of the vote. Last month he won re-election in a closer contest, where he received 43 per cent of first-preference votes but beat Labour by 37,000 to 34,000 when second preferences were included. If the petition is successful, the mayor faces a rerun of the poll. He could be banned from holding office if the High Court finds evidence of electoral mispractice by him. His agent condemned the petition as a waste of time and money. Gerald Shamash, the Labour party’s national solicitor, has been hired by the petitioners, a cross-party selection of local voters. The petition claims that the Labour mayoral candidate, John Biggs, was wrongly smeared as a racist during the campaign. Deliberately making false statements about an opponent’s character is against election law. Mr Biggs, who is white, was accused of racism for saying that Mr Rahman’s primary focus was the Bangladeshi community. John Williams, the returning officer for the mayoral election, is also named on the petition in relation to separate allegations. The complainants blame him or his officials for allegedly letting Mr Rahman’s supporters enter polling stations, where they are accused of canvassing voters, accompanying them into polling booths and leaving campaign material around the booths. It is alleged that the count was impeded by the large number of Mr Rahman’s supporters who attended. Mr Williams said that the toughest measures were put in place at the election. He said that 84 allegations were passed to police. In most cases no evidence was found but eight were still under investigation. The petitioners are Andy Erlam, an anti-corruption candidate, Debbie Simone, a Labour candidate who lost her seat by 28 votes, Azmel Hussain, a Labour supporter, and Angela Moffat, a Ukip supporter. The High Court is being asked to break the seals of the ballot boxes to check that votes were correctly cast and counted. A source said that Labour was not party to the petition but did not oppose it. On Iain Dale’s LBC radio show tonight, John Biggs said he supported the petition. Peter Golds, the Tory opposition leader, has made a small contribution to the petition’s legal fighting fund. The petition has now been served on the Mayor, the Director of Public Prosecutions and the Returning Officer; the petitioner’s must now apply to the court to fix a date with an election judge within 28 days. If a hearing is granted, the first thing that will be asked for, as I understand it, is a recount and new scrutiny over the vote. Again as I understand it, the allegations of corrupt electoral practices also apply to Lutfur’s agent, Alibor Choudhury. If proved against Lutfur himself, he faces being removed from office. If only against Alibor, then we face a rerun of the election. Alibor and Lutfur strongly deny any corrupt practices. The other interesting deadline looming is the submission of election expenses by the various parties on June 26. During the campaign, Labour raised collective eyebrows about how well funded Lutfur’s machine was. But I’m sure Lutfur’s submission will suggest his expenditure was within the limits. This is going to be a busy month for Lutfur and Tower Hamlets. The by election in Blackwall and Cubitt Town is preoccupying the political parties, but there are also various investigations that have the potential to build a head of steam, or running out of puff. Arch-villain or superhero? Lex Luther or SuperRahman? Take your pick. If anyone spots orders for Teflon and Kryptonite in the next set of Tower Hamlets supplier payments, you’ll know why. 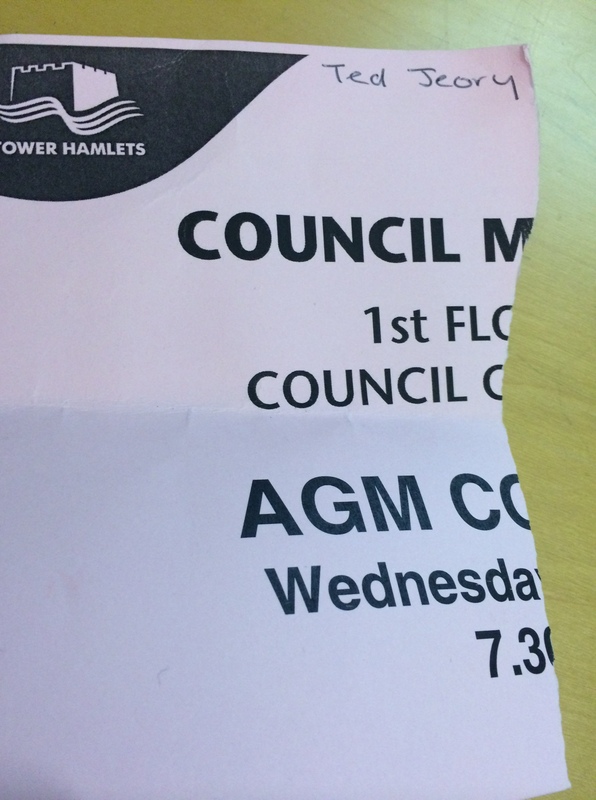 To cut a long story short, I was ejected from a Tower Hamlets council meeting tonight and frogmarched out of the town hall by two uniformed security guards on the orders of Head of Communications Takki Sulaiman. Because I told him he was acting like a prick. I regret my choice of word. Four letters would have been enough. He and I have a long history. He dislikes my journalism and I dislike his attitude to press freedom. I’ve covered Tower Hamlets for nine years now and in that time I’ve seen a gradual erosion in the access afforded to reporters wishing to cover council meetings. That erosion didn’t start with Takki’s management of the communications department, but he has contributed to its acceleration. He frequently converts press queries to Freedom of Information requests on the spurious grounds that they’d otherwise cause his team (which produces East End Life) too much work. A couple of years ago, I felt he tried to get me the sack at the Sunday Express by writing to my editor because he objected to me using a scanner in my employer’s office. And in 2011, he ordered the permanent removal of the reporters’ table that had been a fixture at the very front of the public gallery in the council chamber. After that, the council started reserving seats in the front row for reporters. This last point is relevant to tonight’s events. The meeting started at 7.30pm. I arrived some 10 minutes earlier. The public gallery was packed. I stood in the doorway of the council chamber looking for a seat and as is often the case, councillors and others came up to me to say hello. I saw Takki sitting in a seat not far from the front. There was a space next to him, which he said had been reserved for East End Life. I asked another officer to show me the reserved press seats. She told me Takki had given them all up to members of the public. I asked why. She asked Takki. He told her because I hadn’t responded to an email to say I was coming. I told her I don’t think I ever got an email. I was then told I’d have to sit at the back of the public gallery behind a large pillar that obscures the entire council chamber. I told the council officers that that was completely unsatisfactory. By this time Takki had given up his seat for a member of the public. I then stood at the back of the public gallery in the far corner of the room where I could see (from a distance) the backs of three councillors’ heads. He then hurried off and walked into a wall. Then a few seconds later, two THEOS (Tower Hamlets Enforcement Officers) approached me. They asked me to leave the gallery. I followed them. Takki was waiting in the corridor outside. He asked me whether I’d called him a prick. I said Yes. He said I’d have to leave the building and the two THEOS walked me to the lift, got in, shook their heads in embarrassment and made sure I left the town hall. The Evening Standard has covered this tonight. It’s another PR disaster for a council that desperately needs to improve in that department. And caused by the man who runs that department. Ours was a verbal spat between two grown adults – a hack and a spin doctor who are used to trading industrial language. And it comes at a time when there have been attempts behind the scenes to draw the poison from the political situation. Well, let’s try Tower Hamlets politics shall we? Over many years, both he and I have witnessed abuse hurled at councillors from the public gallery, some of it homophobic, some of it about personal appearance. And in none of those instances did Takki or anyone else ask for people to be evicted. In fact, the only other time I can remember Takki & Co asking someone to be marched out was last year…when the redoubtable John Wright, a 71 year old Alzheimer’s Ambassador was physically removed from the chamber for having the temerity to film proceedings after Eric Pickles had said ‘Go ahead’. Anyone spot a pattern here? PS Oli Rahman was named Deputy Mayor tonight. Congratulations to him. I’ve never heard him swear in my life. Ahem. 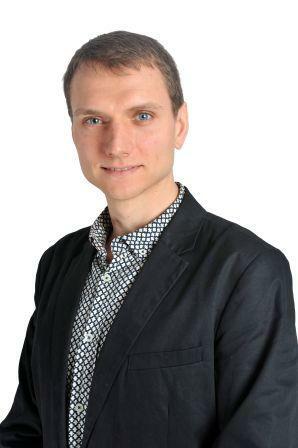 This is a guest post by Andy Erlam, who was a candidate for the Red Flag Anti-Corruption party in Bow East on May 22 (he polled 129 votes). I am presenting an Election Petition about the Mayoral Elections to the courts. We urgently need additional voters to sign and formally support the petition. The matter is urgent and I need other Tower Hamlets voters and, ideally, who voted in the 22nd May elections to join the petition. The initial costs of £10,000 will be met by myself and arrangements are being put in place to limit liability, if any, thereafter. Please get in touch with myself on 07795 547033 or andyerlam@ymail.com soonest. Petitioners must contact me urgently ideally before end of business Thursday 5th June please. Witness statements from other voters are also needed and can be gathered later. Please note that in the event of an underspend of the fund, contributors will be repaid their contribution proportionately, or in the unlikely event of not proceeding entirely. So. First off we have to congratulate Lutfur and his campaign team on their victory last Thursday. Regardless of views on him, you have to accept that he secured a big victory against a strong opponent. It also has to be recognised that the people have decided through elections that were free and fair and conducted under the most intense scrutiny. This was the result and we have to accept that. While there may be complaints about intimidation at polling stations and elsewhere, and any evidence should be looked at and referred to the appropriate authorities, this would not have shifted 3500 votes towards John Biggs or 174 to me in my ward. As always with defeat, it is a time for reflection and this is something the Labour Party now needs to do before picking itself back up and moving on. We are a national party and will never give in, there is still fight in us yet and we will continue to represent the community and promote our values with our councillors and activists. Those who have said that we’re finished are just dreaming: we’ll never be finished in the East End, and they should get used to that. While we did take a hit, there are positives that we can take. We must remember that we had over 34,000 people casting first and second preferences for us and nearly 40% of the votes in council elections, our highest share since 2002 apparently. In any other election, that would have been enough. Tower Hamlets is unique. The fact is our campaign didn’t connect with a large enough portion of the Bangladeshi community (a third of the electorate) in a significant enough way. Those who feel Lutfur has been treated badly again outlined their support for him. This isn’t just because he is Bangladeshi; the Bangladeshi community are smarter than that, they are some of the most politically aware people in the country. It was because they, on balance, felt that he has done a good job in difficult circumstances. Many felt the attacks on his record were harsh: some acknowledged them and even agreed, but voted for him anyway as they still felt the good still outweighed the bad. Additionally, he didn’t just receive support from the Bangladeshi community. The Labour party did receive a lot of support from that community and Lutfur must have, to make the numbers match, received support from other communities as well. While it was not as much as Labour (particularly looking at the second preferences) it was enough. No doubt the rise of UKIPs disgraceful rhetoric energised people to register their vote (for both John and Lutfur) even more. It was disappointing to see John lose, given all he has put into the borough and the fact that he is genuinely in politics for the right reasons. The attacks on him were unfair and unjustified, but this was a political campaign and you have to expect your opponents to do whatever they can to win. This happens in the Shires as well as Tower Hamlets. There will be hundreds of people telling him why he lost and how he could have done it better (everyone is a campaign expert after elections!) but ultimately the coalition of voters he brought together, while sizable and broad, was just not big enough. Maybe now he has been defeated, those that attacked him can show some grace and again recognise his achievements in defeating the BNP in Millwall, in Barking and Dagenham and at City Hall and for the work he does to fight for resources for the East End. The overall tactic from TH First was to try and frame every discussion through the prism of race and religion–to label every attack on Lutfur as an attack on a Bangladeshis and Muslims. They used emotive language and historical references (the Raj, Colonialism) and looked to whip up their base at every turn. It was very much from the George Galloway playbook. The idea was to paint John and the Labour party as racist, who didn’t think Bengalis could be trusted with power. It is similar to “swift boating” in American politics. Despite being a decorated war hero, John Kerry was attacked by George Bush on his war record using swift boat veterans. It was audacious and effective. The same here, the Labour party is the most representative of any party in Tower Hamlets (in terms of race, religion, gender, sexuality, disability, age and background), but was endlessly attacked for being racist. This type of attack actually started years ago. We once attempted to change the open spaces strategy in a council meeting to limit the number of events in Victoria Park, a legitimate policy difference because we felt it was being over-used. Lutfur’s deputy, Ohid Ahmed, claimed we were only doing it because Lutfur was “Bengali”. While it may sound ridiculous, much like the ridiculous comments that come from UKIP, some people believe it…and more do the more you say it, unless it is effectively challenged. They escalated to ensuring every criticism of Lutfur was branded as being racist and then Islamophobic: they called Muslims who voted or stood against Lutfur, disgracefully, as “traitors” and “bad Muslims”. It is very similar to the tactics used by the Tea Party movement in American, where they use Christianity in this way, linking their policy beliefs to their religion and then claiming any attack on the policy is an attack on the religion, with those doing it being “anti-Christian”. We could have challenge this more directly and call it out for what it was. Better showing how we represented all communities, including Muslims and Bengalis and the policies we proposed supported this community too. The Labour Group was and is the most representative of any of the parties in the town hall and includes many devout Muslims. We had a Bengali Group leader and a Member of Parliament. They are not fake Bengalis, traitors or bad Muslims. They are good people trying to do good work. We never opposed the faith buildings fund, mother tongue classes or the majority of grants that went to Muslim organisations. Yet the attacks continued. However, in my view Panorama and others were too clumsy in their attempt to raise legitimate questions over his handling of the grants programme. For me, it was never the right point to suggest the grants issue was about supporting Bengali/Muslim organisations. Lutfur has cut funding to some Muslim and Bengali groups that didn’t support him. It is not to do with race or religion. He adjusted, meddled and failed to be transparent in an attempt to fund as many groups as possible in promotion of himself. That is where Panorama and others missed the point and played into their narrative. The newspaper, self-promotion, self-publicity, grants and others was all about using resources to bolster him as mayor. In that way he is a machine politician who focuses on self-preservation and every decision is a political calculation. He doesn’t do it because he’s Bengali, or Muslim, he does it because he has the power and wanted to hold on to it, in the same way someone like George Bush did as President. The other attack was to suggest that TH Labour party is full of middle class, Blairite, student, machine politicians, characterised in Kazim Zaidi’s ignorant post on this blog last week. The main plank of our manifesto was free school meals and a pledge to build 1,000 council houses. There is nothing Left wing about having a chauffeur-driven car, selling off public art, commercialising public spaces, only building 15 council homes, using reserves to pay for advisers, charging for bulk waste, cutting advice service funding and so on. Labour “lobbyists” include people working for a range of charities, voluntary organisations, trade unions, housing providers and so on. We are not all from middle class families: my mother was a single mother who raised four children on a nurse’s salary in the Thatcher years. Most of us didn’t do student politics and some of us have views somewhere left of Tony Benn (no, not me). Kazim must have been out of the room when Lutfur was buying off people with cabinet positions in return for their support for his group leadership bid in 2008. It wasn’t about political ideology. He probably didn’t remember that Attlee came to the East End, a middle class Oxbridge graduate, to help better the lives of the local residents. Again, you can moan about their tactics as much as you like, but you have to expect this in politics and ensure that you counter it effectively. That’s what the Labour party needs to work on. We need to ensure that the Muslim community knows that we believe that they should be protected and free to practise their religion, which is a decent and important religion, and that they are supported with policies that benefit them in the way any other community is. That they are entitled to grants and support in the same anyone else is. We also need to challenge those who attempt to misuse Islam for their own political ends. We need to do this while ensuring that we continue to work with, and represent all other communities, and particularly those most disaffected. We need to continue to highlight that we are the most diverse and representative group and to legitimately point out their failures. For example, having just one woman in 18 councillors is pathetic in this day and age. Having been one of the main protagonists against Lutfur over the past few years, it was no surprise that I became a target of theirs and they will no doubt be glad to see the back of me. In my finance lead role I had led our budget campaigns, which caused them numerous headaches. As whip I had to orchestrate council meetings in which Lutfur genuinely looked uncomfortable when under attack. I did the enquiry that found that the council had built just 15 homes. I recently called his handling of free school meals an Omnishambles, which it was, and had various set-toos with him and Alibor Choudhury in particular (Lutfur broke his famous council silence to call me “stupid councillor” at one stage!). I knew that would be the case in taking on the role, but I did what I could to give the Labour candidates the best chance of winning by highlighting the genuine failures of the administration. I stand by the issues of concern we picked up and I am proud that our Free School Meals campaign means this is going ahead this year (regardless of what they said, this was not in their budget and would not have happened without us pushing it). The council’s finances remain a significant concern and without our campaigns against advice service cuts, or the campaign to keep open the Rushmead One Stop Shop in Bethnal Green, or the fuss we made around the proposed redevelopment of Watts Grove, and others, we would not have got him to change his decisions. I still believe it’s wrong to waste council money in any way, when we have to strip back services and deal with cuts, and we should have been planning for how to deal with the budget cuts much earlier than now. I did all I could in my ward campaign and I couldn’t have worked any harder to get out our vote. I polled nearly 400 votes higher than I did in 2010, taking into account boundary changes and turnout this is still an increase of around 30%, which I can take some heart from. Ultimately, we underestimated was the level of which the Mayoral vote would cross over to the TH First council candidates, which ultimately did for us and many of the other Labour candidates. I had known for a while that there was a concerted effort from them in my ward and their canvassers had been busy raising hundreds of enquires for residents over the past year. While we ran an expert traditional campaign (door knocking and voter identification) they had mastered the informal community network campaign and were disciplined in turning it out, particularly through postal votes where they always excel (regardless of their faux pretence otherwise). Overall, I believe that you need to accept defeat graciously and I have looked to do that since the result in my ward was clear. I congratulated Lutfur, as well as the St Peter’s Tower Hamlets First candidates. In my view there is no point getting angry, saying we woz robbed or claiming foul play: you have to accept the results and move on. I always thought Muhammad Ali said it best: “I never thought of losing, but now that I have the only thing is to do it right. That’s my obligation to all the people that believe in me. We all need to take defeats in life”. I stayed at the count as long as it was going (yes until the Tuesday!) to ensure that I could commiserate other colleagues that lost and to cheer those that won. The Labour party is a family and it’s good to be around for people in the good times and bad. It was a shambles. I have no idea why it took two hours to submit people initially, eight hours to verify the mayoral, another six to count it (including two hours to check challenged ballot papers) I have no idea why they asked all 200 or so candidates for their opinions on whether to go straight into the council counting at 3am (at one point at around 8am a member of the count team actually fell asleep while tallying!). Count totals varied significantly from one to the next with candidates in close races winning after some counts and losing after others, no wonder tension was high. I have no idea why some count staff were sat around idle for a lot of the time. I have no idea why ballot papers and counting sheets were left on tables often unsupervised. Having finally decided to finish the counting on Sunday I have no idea why they chose 2pm as the start time and didn’t even have the hall ready until after 3pm. It has to be accepted that what happened needs to be looked into. A high turnout, close results and a lot of challenge should have been expected. That said I have lot of respect for Returning Officer John Williams and his deputy Louise Stamp and I am sure that they are just as unhappy with how it went as everyone else. Even though it was shambolic there is no question in my view that the results for the mayoral or in my ward were wrong (after the recount not the first count which was way off!! ), they we just late. So where do we go from here? First of all, I think leadership is needed on both sides to de-escalate the worrying tension that has built up between groups and in the community. The past few years and the campaign were often fought in the prism of race and, more recently religion, and this has created division and tension that can be exploited if it is not healed. It is no use either side saying it is the other’s fault and continue throwing slurs back and forth: the sensible majority on either side need to step back, seek to temper their language and either calm or disassociate themselves with those that continue to go too far. While the banner of One Tower Hamlets and One East End are often used, in reality there is a polarisation in the community and it is incumbent on all people elected or otherwise to work together to reduce this. It is not good enough to just talk about it, it needs action. We need a better understanding of each other and to not allow differences to become divisions. There needs to be more trust and less suspicion, but this will take time. Some people want this division for their own ends and they will continue to fight on these grounds. These people need to be challenged by the moderate majority on both sides. It is an incredibly difficult thing to judge, but it is imperative we try. Writing blogs suggesting “a civil war will spill out into the streets”, as Kazim Zaidi did here for example, is exactly the kind of inflammatory rhetoric that the sensible majority should seek to temper. Smarter and more thoughtful language is needed. During the campaign, I spoke to a Jamaican immigrant who was voting UKIP. He was adamant that the Labour Party “only looked after Muslims” (what would TH First make of that!) and that even I was “a latino”. Yes really. He seemed bemused when I explained in my Home Counties accent that I was actually from Cambridge. But a Jamaican immigrant not voting for a white man with an Italian name because he thinks he only represents the Muslim community, and instead voting for a party whose main focus is to restrict immigration, something he himself had benefitted from in the past, is evidence that there are issues that need addressing which go beyond whether you like Lutfur Rahman or not. The calls are already starting for Lutfur to be readmitted to the Labour party, but that is difficult to reconcile with the election they have just fought against the Labour party and its people. Lutfur and his team have thrown allegations of racism and other things at Labour Councillors and candidates and the suggestion that they will forgive and forget within a week or so is unrealistic. He, as the leader, presided over some outrageous behaviour that was public (The KKK and Blackshirts comments by TH First candidates to name but two) and much more in private. Emotions are still raw and the heat of the election is yet to cool. Suggesting it is likely to anger those that have fought hard campaigns and likely to push them toward rejecting any advances more vehemently. Additionally, while Lutfur may have won the election, a large portion of the electorate (including about 80% of second preferences) voted against him and Labour secured the most votes of any party in the council elections; much of this was in opposition to Lutfur. These people would not want to see the councillors they just elected in opposition to him, become yet another coalition they didn’t vote for. The tactics of their campaign are not ones that any mainstream political party would accept. Even UKIP throw people out when they make outrageous comments. Not TH First. The other issue rightly pointed out by Ted here is the question of his councillors as well. Regardless of what people say of Lutfur, most of his councillors are not from a Labour background (despite what they may pretend) and do not have the values of the Labour party (just look at what their councillors have been saying publically about Rushanara’s vote for gay marriage!) If, for example, all 18 of Lutfur’s councillors were admitted with him it would also send a terrible signal (ie stand for whoever you want and if you win Labour will just accept you anyway!) and cause a great deal of resentment for the current group who stayed loyal and fought hard to win their seats and lost colleagues (who were Labour through and through). In that regard having such a big group may actually now make it more difficult for Lutfur to ever be accepted. So where do we go on that basis? For the Labour Group the first thing it needs (in my opinion, I have no say now!) to decide on its leadership team and begin discussions over the composition of the council’s committees and scrutiny panel as the largest party. They would do well to select a leader and deputy that understand it is now peacetime, who can de-escalate the tension between the groups, open up channels of communication and begin the process of renewal (as Sun Zu says, “There is no instance of a country having benefited from prolonged warfare.”) Someone who can understand that fighting in the town hall is an energy and time-sapping endeavour (and quite often entirely fruitless) and that the whole group needs to be set up to focus on working in the community. Lutfur would do well leaving them to it and let the Labour party set up as the official opposition and form the scrutiny committee. This would help to show the community he is happy to be scrutinised fairly and give those that didn’t vote for him the confidence there is oversight of the Mayor. Which will also reduce some tensions. A strong scrutiny panel will also help him in the coming years when the money gets very tight. There have been some great scrutiny reviews that have added real value to the council in the last four years and more of this can only be of benefit to him and the council. He should also not be insulted or defensive if the decision is taken not to go in his cabinet. Again, for the reasons set out above, the election is still raw. He has his team that he selected and got elected to serve with him, to deliver the manifesto he stood on. It’s also not the Labour party’s job to bring equality to a cabinet that would otherwise have nothing of the sort. But that does not mean that they should not be constructive, and regular discussions should take place between him and the Labour leadership. Labour can offer to discuss the urgent need to review the constitution (and potentially committees too) to ensure it is fit for purpose. There also needs to be a process set up for the appointment of permanent chief officers (and in my view a permanent CEO). As this is reserved to full council, it should be done following discussions between the two groups who should decide on a process and stick to it. Another four years of instability is good for no-one. A few years back, I, along with Cllrs Whitelock Gibbs, Peck and Francis, got agreement from Labour Group to establish a formal process of how it would work with Lutfur on key issues like this, but he failed to respond to the invitation (dismissing olive branches like that that did him no favours with moderates in group!) It may be useful for Labour Group to dust it off and reissue the invite. Why should Lutfur do this and not just carry on as before? I’m sure he has people telling him to continue to ignore Labour and stick them at every turn and just keep pushing to get everything he wants. But he is going to have to lead the council through the most horrendous of cuts in the coming years as well as managing some significant changes and the impact of the cuts. He himself needs the space for his administration to deal with this and a de-escalation of tension will free up his time and energy do just that. If every council vote and issue isn’t fraught and on a knife edge, and issues are discussed and resolve constructively, his energies can be deployed on doing that job. Fair and constructive scrutiny from the Labour Group will help this. That would be for the good of the whole community. He also talks about wanting to be constructive; it’s a good chance to prove that he means it. There is also the Blackwall and Cubitt Town by-election to consider, which will be a tough fight. While TH First will be buoyed by their results and are preparing to throw everything at it, realistically, I think our candidates have the best chance of taking the seats from the Tories after stealing a march on them in their Island stronghold. Making further ground here would send out a strong message ahead of the general election. While the party is a bit bruised, there is a lot of fight left and, from the conversations I have had, our members and our candidates are really geared up for it. How TH First respond to this will be interesting. It is hard for them to call for reconciliation at the same time as fielding candidates that attack Labour, particularly if it is as ferociously as during the mayoral campaign. A hard campaign against Labour would drive a further wedge between groups (and surely kill of any last hope of re-admittance – nothing says I want to come back to the Labour party like standing against it in elections!) They could only ever end up on 21 seats, still short of a majority or, more likely, see the Tories pick them up. If Lutfur were serious about wanting to come back to the party the clever thing to do would be to support the Labour Candidates in Blackwall, and then come out in full support of Jim Fitzpatrick and Rushanara for the general election. Could they ignore that? I never understood why he didn’t just do that for the original Spitalfields by-election. His support for Respect in numerous by-elections lost him the support of many who use to be more favourable to him. In politics it is also easy to look back and regret decisions. Should I have knocked on more doors, or said this and that, particularly if elections are close? But I have tried to do what I felt was right and worked incredibly hard. My only regret would be that I fell out with friends because of some of the approaches I took and decisions I made. Realistically, life outside of politics is more important than politics itself. Anwar Khan said to me at the count that sometimes people in politics turn into someone they never thought they would be. Maybe that happened to me a little and defeat now is the best thing for me to get back some perspective. I have been overwhelmed by the messages of support and thanks from residents, activists, council staff and others. I will miss being a councillor (some bits of it at least!) I don’t know what I will be doing from now on, but I want to continue helping people that need the most help. Defeat is only temporary, and it will be for me too. Maybe I’ll become a regular Trial By Jeory blogger! In the meantime I’ll be on the doors in Blackwall, there are Tories to defeat.